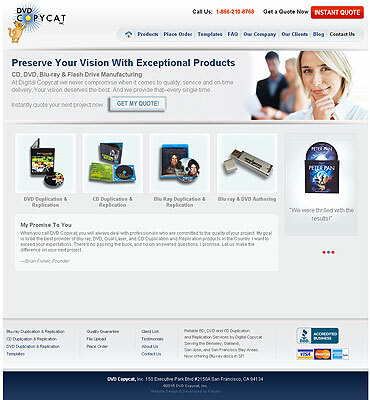 DVD Copycat is a trusted manufacturer of custom DVD and CD products. 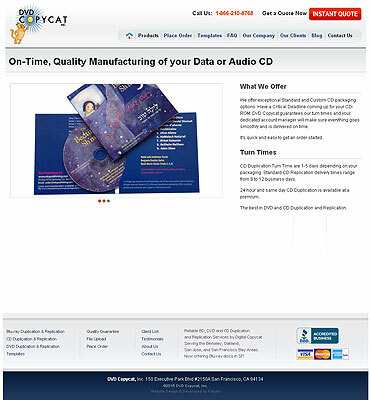 Most significantly, DVD Copycat differentiates itself with its commitment to quality products and results. The goal is to develop and maintain customer relationships by providing quality product and service that exceeds current industry standards. 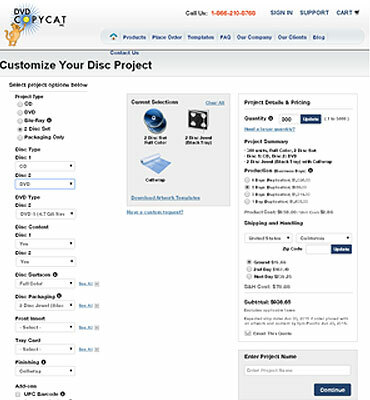 The client use latest technology and raw material to provide premium CD-R, DVD-R media and high-resolution thermal transfer printing for the DVD and CD duplication projects. 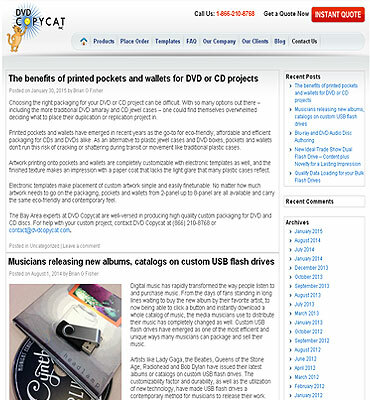 The client wanted to introduce its business to the online world and required an E-commerce website to sell the DVD & CD. 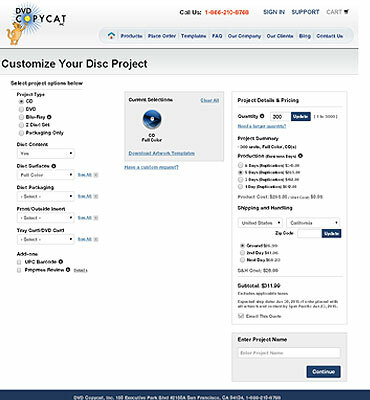 Client approached us to develop an e-commerce website where customers can check all the products and customize them to buy best quality and unique aspects of each CD and DVD order. The website should include different features like custom online ordering tools, automated order confirmations, reminders and shipment notifications, effective quality control processes, lower retail prices and an expanded product offering. Our technical team for developed a dynamic website integrated with Payment Gateway. The challenge was to make the website compatible across a range of browser platforms. We develop an online platform that could deliver high performance and speed. Our client was very eager to have an elegant UI so worked on it while creating this responsive website. The technology used for the development of this website was PHP. The team has been consistently monitored by the Project Manager to make the website live and as per the client requirements. We focused on the design scalability to make it user friendly and SEO friendly website. Front-end In order to enhance customer experience we put our efforts to make the website easy to use with impressive interface. We have achieved our target by creating clean and uncluttered interface with clear & striking images of products. We have developed a flexible website so that client can easily amend the website content by using easy-to-use CMS and manage their all the products and promotions quickly and effectively. Our developers coordinate with UI developers to maintain its functionality features and user-interface. 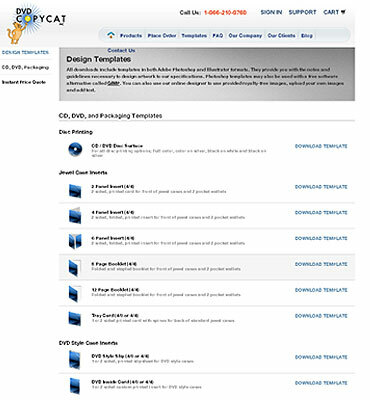 Web server is used to host an e-commerce website. Fantastic work..Would hire again. Thanks..